The Lumia 940 has been imagined about 2 or 3 times till now, so it’s bound to get real sometime soon. 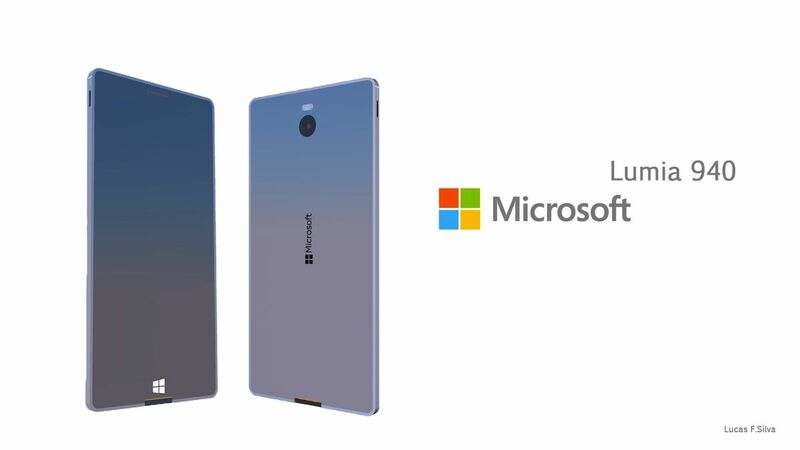 Till that happens we’ve got a new concept, the Microsoft Lumia 940, created by Lucas F Silva. The handset’s facade reminds me of an Omnia Windows Phone model from Samsung, but only a bit. 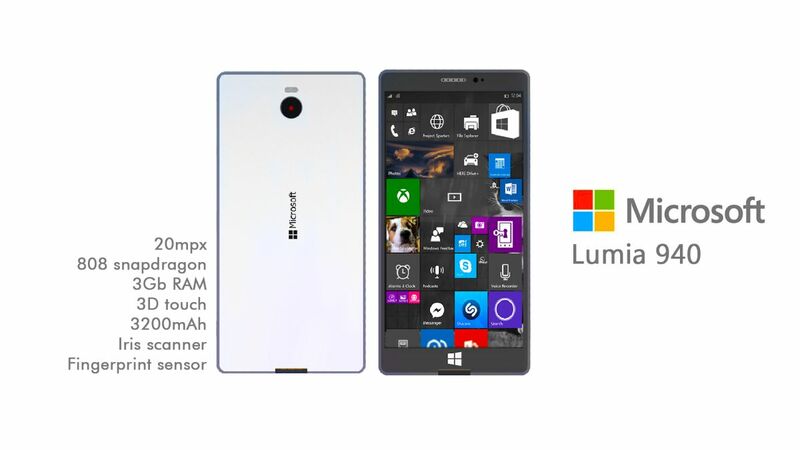 There’s a 20 megapixel back camera here, a Snapdragon 808 processor and 3 GB of RAM. 3D Touch is here, just like it should have been on the Lumia 1030. We also add in the mix a 3200 mAh battery, an iris scanner and a fingerprint scanner. Interestingly there seem to be two speakers here, on at the lower front and one at the lower back. Lumia 940 is most likely made of metal and seems pretty slim. Its edges are probably either rounded or made of a comfier material, so they won’t “cut” your palms like the Galaxy Note 4 and Galaxy Alpha. The camera area is smaller than I’d expect… The designer claims that the 940 has an aluminum body and 5 color options.